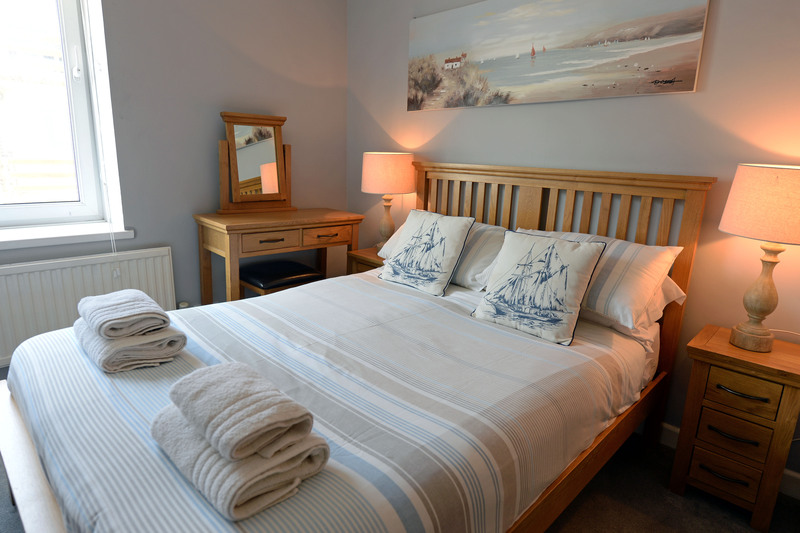 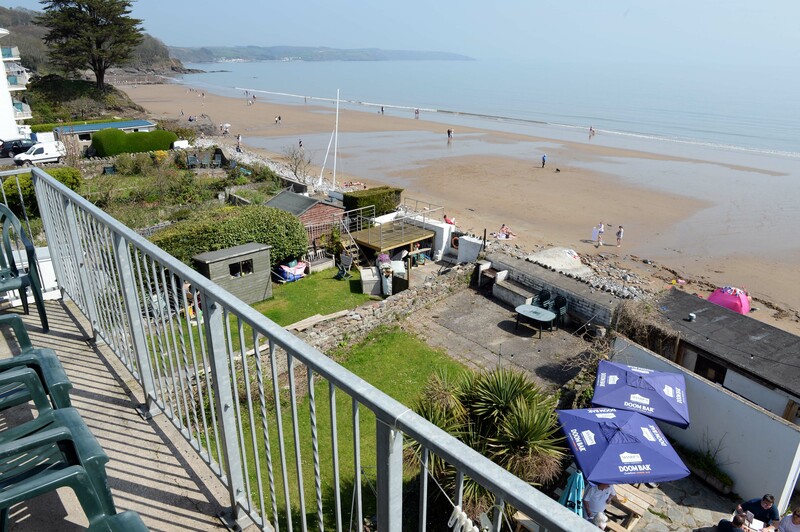 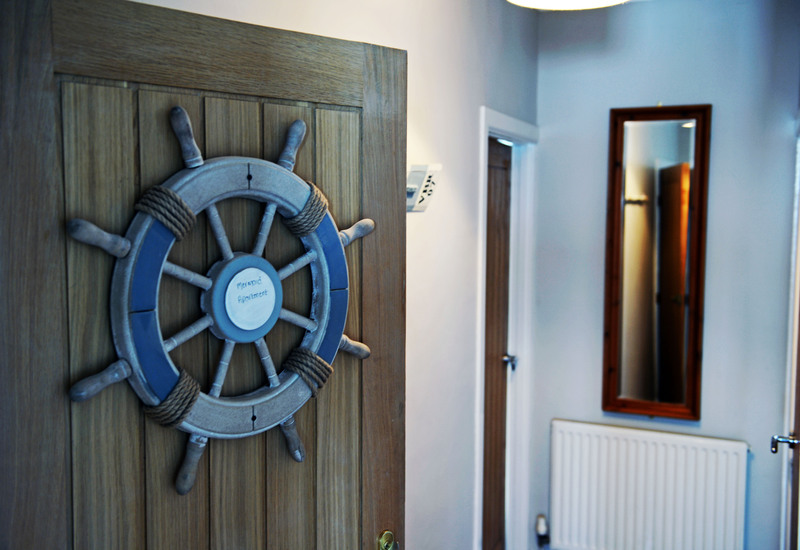 Situated right on the beach front in the seaside village of Saundersfoot, Mermaid is a self catering holiday apartment and is part of Sandtops Holiday Apartments. 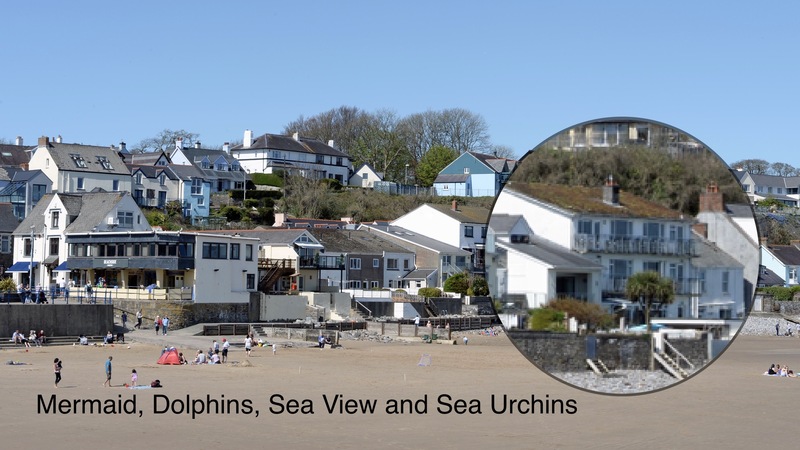 Just a short stroll away is Saundersfoot village centre and harbour, from where regular fishing and boat trips depart in the summer. 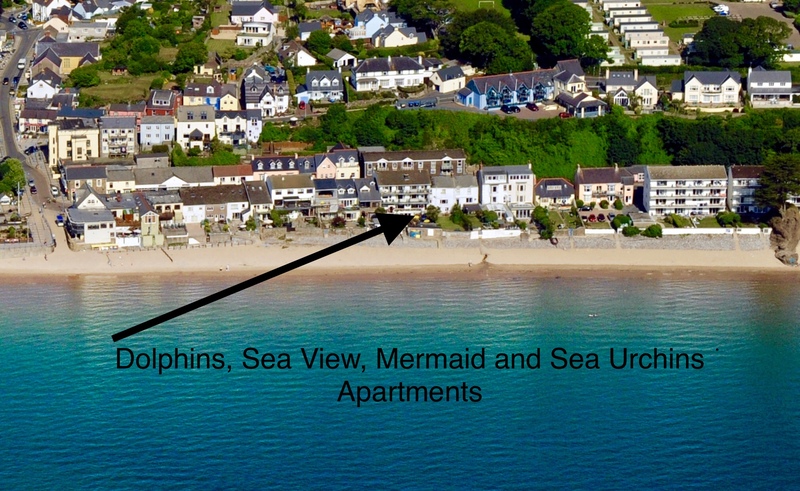 The historic town of Tenby is a short drive away and can also be reached by walking along the Pembrokeshire Coast Path which passes right through Saundersfoot village. 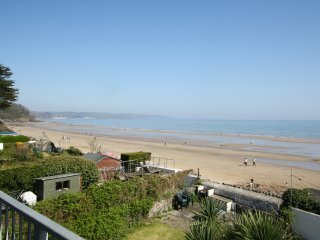 This self catering holiday apartment is accessed via the entrance hall leading to the first floor where the front door opens into the corridor leading to the open plan kitchen/lounge/dining room which boasts a central breakfast bar and large picture windows which perfectly capture the superb views over the beach, harbour and bay. 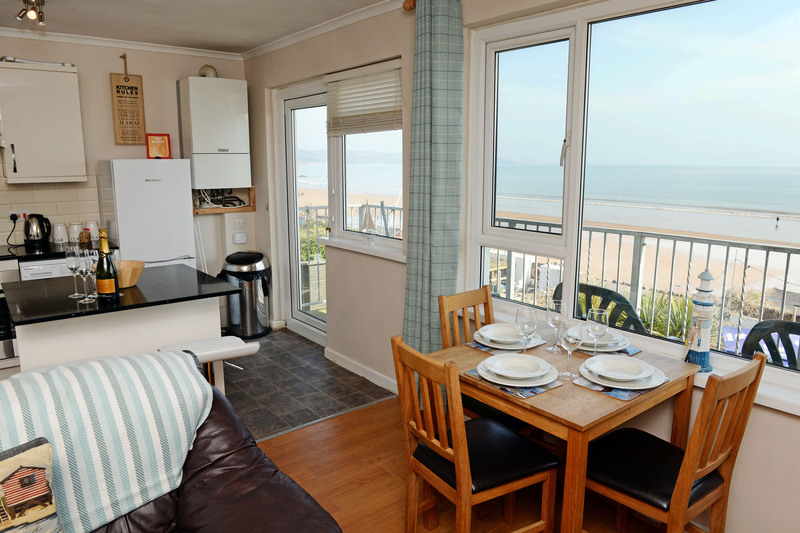 The kitchen area is well equipped with everything you will need for your self catering holiday including a washing machine, dishwasher and a fridge freezer and a French door leads out to the balcony, ideal for sitting out, relaxing in the sun and listening to the sound of the sea! 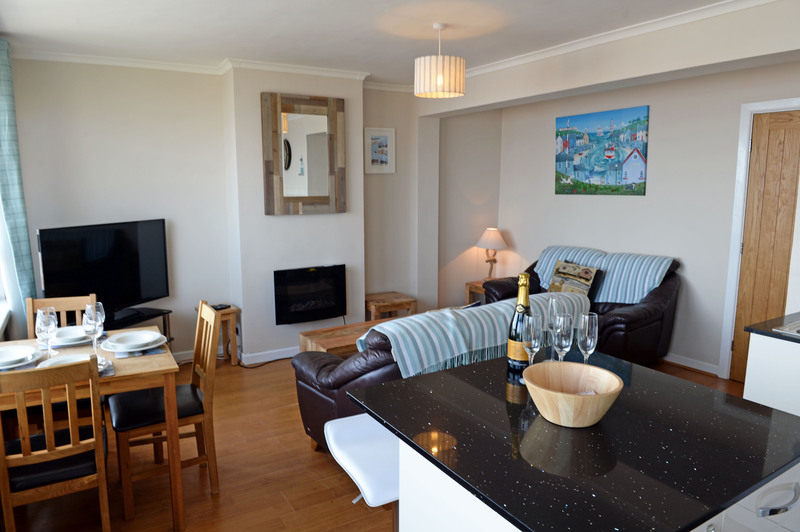 The lounge comfortably seats up to 4 people around a wall mounted electric fire and the dining area seats up to 4 and there is also seating for 2 people at the breakfast bar. 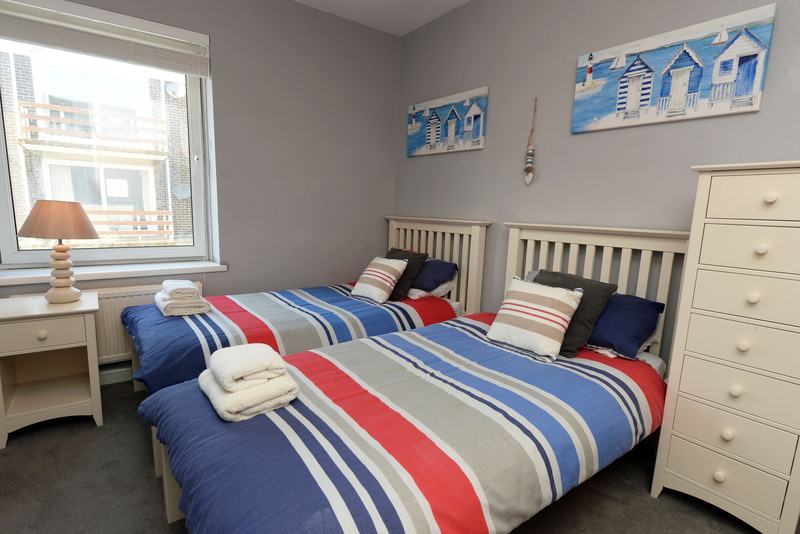 There are two spacious bedrooms with ample storage facilities; bedroom 1 with double bed and bedroom 2 with two singles. 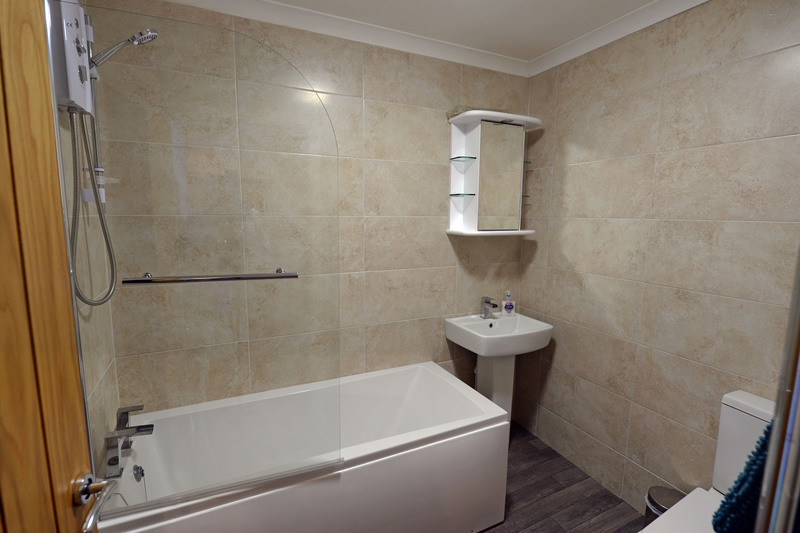 The bathroom comprises bathroom with bath and shower over, toilet and wash hand basin. 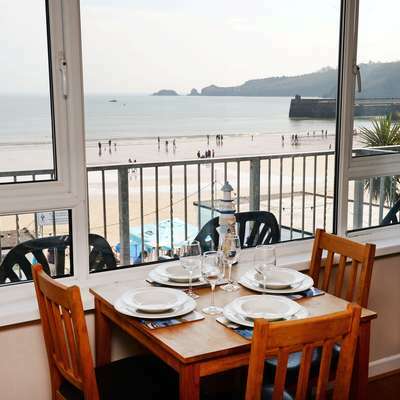 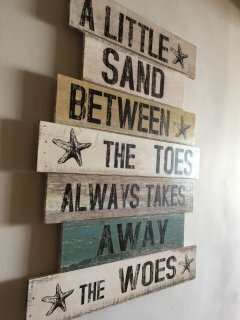 The apartment offers free WiFi and is fully central heated and, like all of the Sandtops Holiday Apartments, Mermaid enjoys a prominent position on the sea front above The Old Chemist Inn which has an excellent reputation for food and drink. 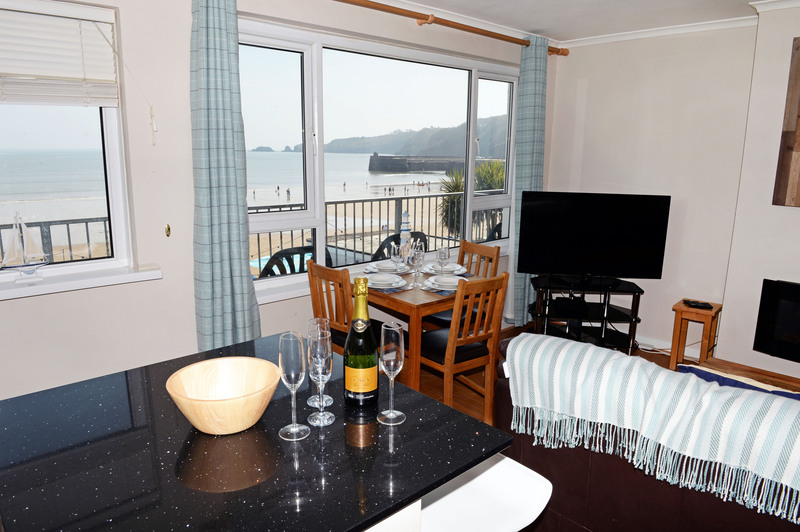 Weekend and mid-week breaks are available out of season. 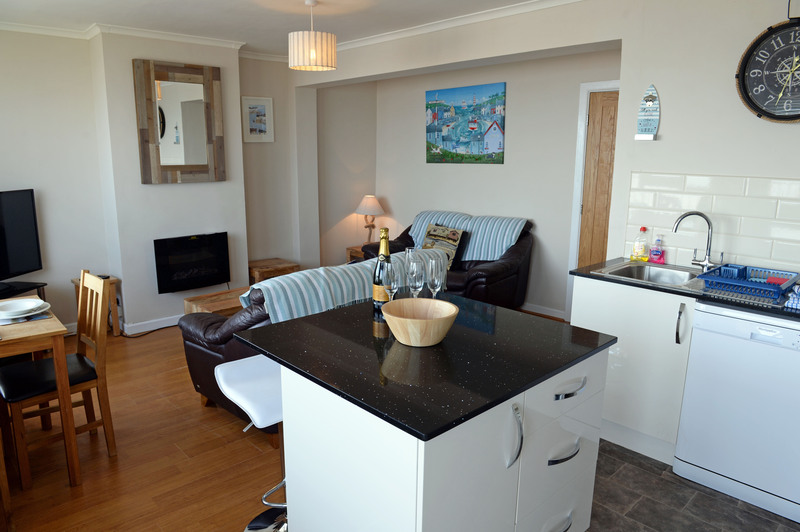 One small, well-behaved dog welcome. 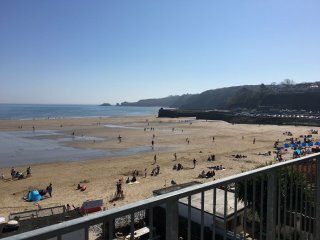 We provide one parking permit for the harbour car park (2 minutes walk from the apartments) and there are 30 minute unloading bays directly outside the apartments.